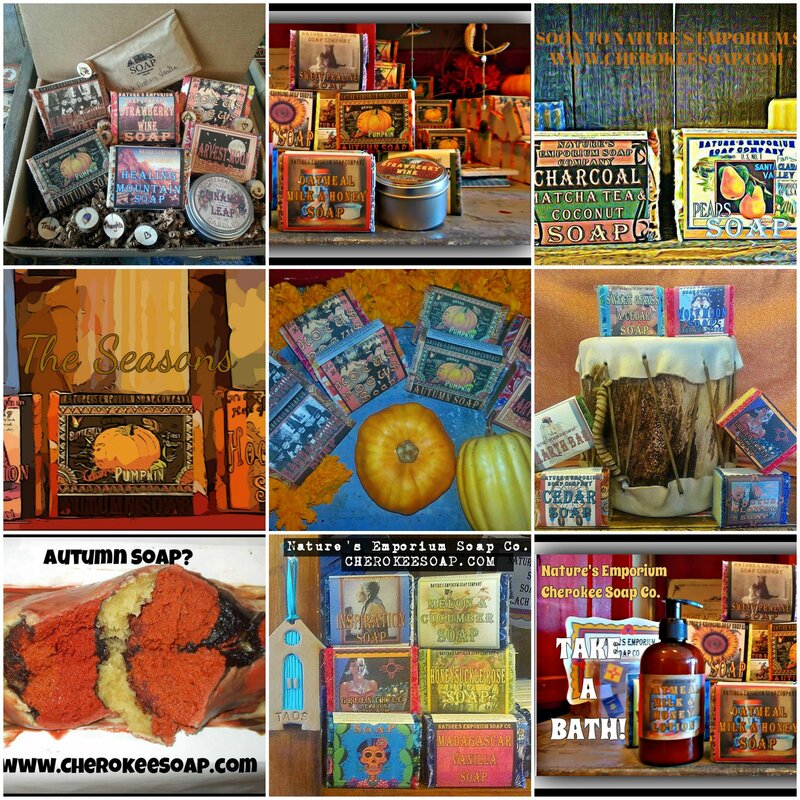 Nature's Emporium Cherokee Soap Co. Ramblings of a Soap Maker – tagged "Autumn"
Here up on the mountain at Nature's Emporium Soap Co. or from the comfort of your own home at CherokeeSoap.com we just love the change of Seasons. Autumn is the best, isn't it? Pumpkins, Spices, Apples, Pears, Sunflowers and Cooler weather! We love to celebrate this season! Your discount code is PUMPKIN SPICE for 10% Off each purchase. WHOLESALE is your discount if you own a shop and would like to sell our products! We have added a whole bunch of shops this year, so make sure and check our website for a shop near you! 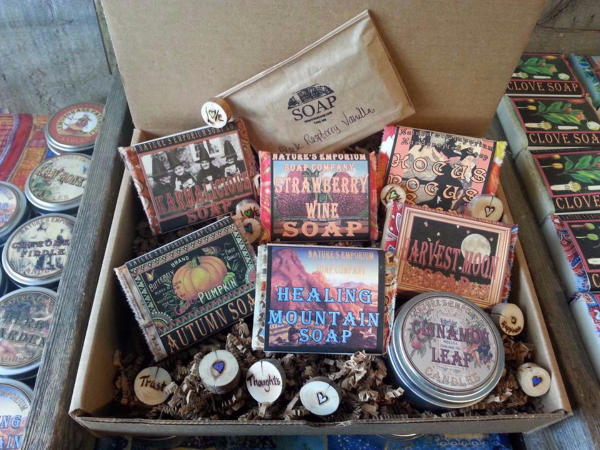 We truly appreciate the shops that help us sell soap, YOU GUYS ROCK! May your Autumn be bright and everything you dream Autumn to be. We appreciate you! In many cultures is important to gift one another in order to keep the balance. We LOVE this tradition! 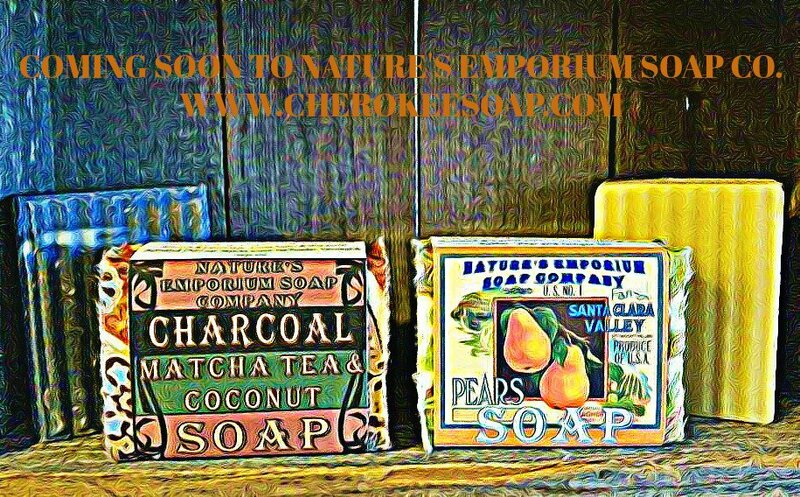 Each order will get a Cherokee Love Seed and a sample of soap wrapped in brown paper. We want you to feel loved! I am the worst business Woman in the world, you buy something from me, I feel like I have to gift you. The therapist haven't been able to fix me yet, so just please except our extras..lol. .If you would like to carry in your shop or purchase for yourself Cherokee Love Seeds.. please visit this website and you can name them whatever you want to, also! We love these happy pieces of wood!! 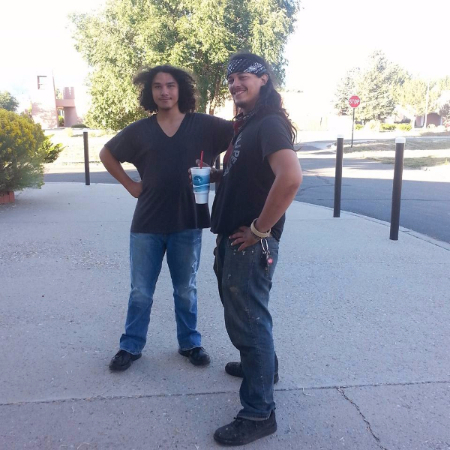 For those who have followed my little boys from the beginning (1999) Josh and K2 are 18 and 23 and they are STILL the greatest Sons in the world. This was taken last weekend when they took their Mom to a movie. and yes...we all still walk to the beat of our own drum. ha! K2 lives in Santa Fe and is mixing adobe (it's just like soap making) and Josh is a Sr. at Vista Grande and he is your chief soap cutter. Thanks for helping me get em raised! Copyright © 2015 Nature's Emporium Soap Co., All rights reserved.